A nautical room for a waterloving boy! We put in a base with the boat wallpaper by LAVMI and complemented it with the striped wallpaper by LAVMI. The design furniture by Nobodinoz in funky colors give the room a real designlook. The design lamp in the shape of a paperboat by Goodnightlight brings back the theme. 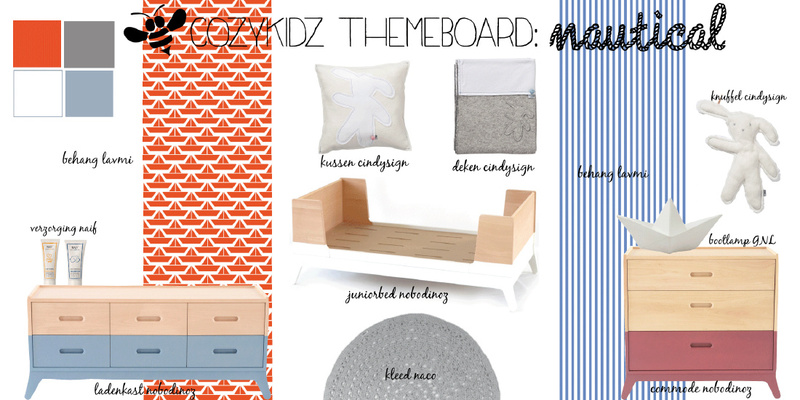 We added a rug by Naco for some warmth, a nice blanket by Cindysign complemented with the sweet stuffed animal.